Posted on March 27, 2019 by Autochartist wrote in Autochartist Blog. It has 0 Comment. If you are creating a trading system to trade manually or have programmed into an expert advisor, the first thing you need to do is create a solid trading strategy. The logic behind your strategy needs to take into account changing markets, use proper money management and look to gain long term, consistent gains. In essence, you want to be able to trade profitably over the long haul. But once you have a system that meets these characteristics, is there a way to use trading tricks to tweak your system and get more pips out of every trade? The Japanese use a term in business and manufacturing called “Kaizen”. Kaizen means “good change”. Basically, this is the ongoing process of making improvements by implementing small changes and tracking their impact over the long run. In terms of trading, small changes to your trading strategy can have a huge impact on your trading results over time. Today I want to go over some of the small changes you can make to your trading strategy that could make a big improvement in your profits. Just think about using trading tricks to squeeze a few more pips out of each of the trades you place. Over time, those extra pips can really add up. Adding Pips To Your Stop Level: A lot of trading systems you see out there use price action to determine stop loss levels. If you are placing a buy trade, you could use the last swing low. If you are placing a sell trade, you could use the last swing high. Then they say, “Add 2-3 pips to the level”. Do these 2-3 pips really matter? Are these 2-3 pips going to keep you from being stopped out if price tests the swing highs or swing lows? Probably not, or least at not that often to make it a big issue. So, why not just use the swing high and swing low levels? On losing trades, you save 2-3 pips. Over time, these 2-3 pips saved can add up to less losses. And less losses, means more profits. Tightening Your Stop Loss: If you have been trading your system for a while, it might be a good idea to do a study of your stop loss levels. Look back over previous trades and see if your strategy can be improved by tightening your stop. For example, you might be using a 35 pip stop when you would have gotten the same results with a 28 pip stop. If you are using money management like Percentage Per Trade, using a slightly tighter stop can result in using a slightly larger lot size per trade. This means more profits on your winning trades. And depending on how much you can safely tighten your stop, this could have a huge impact on your winnings. I’ve talked about this before. Hitting a target gives you a little emotional boost. In short, it feels good when we hit our price targets. This can lead to placing the take profit tragets a little closer than they need to be to make it easier to be hit. If you’ve been trading your strategy long enough, you can look back over past trades and see if you are leaving profits on the table. Maybe you are using a 30 pip take profit when you could be getting the same wins with a 35 or 40 pip take profit. Over time, these “extra” pips on winning trades can turn into a lot of “extra” profits in your account. 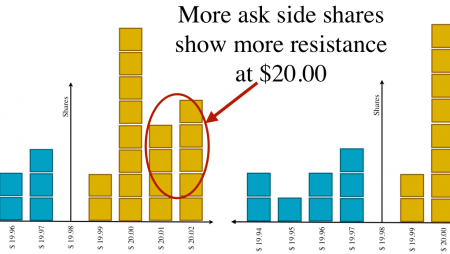 Most trading systems use Market Orders to get into the market. When your indicators line up, you pull the trigger and enter the market. The feeling is you want to get into the market immediately because if the trade goes your way, you want to start profiting immediately. But think about it. How often do you enter the market and price goes immediately in your direction and hits your price target? Very rarely I bet. The truth is, the market does not move in a straight line and there are many pullbacks along the way. Instead of using Market Orders to enter the trade, consider using Pending Limit Orders a few pips away. For example, if you want to enter a Buy trade, place a Pending Limit Order 3-5 pips BELOW current price. You only get triggered into the trade if price retraces enough to trigger you in. It is worth checking this Pending Limit Order method with your strategy because you would be getting into the trade at a better price. At least, you would be making up for the spread cost of the trade by gaining a few extra pips per trade. And these small additions to your pip totals can really add up. If you made 400 winning trades a year and added 3 pips to each win… that would be 1,200 MORE pips of profit in your account. I’m not saying all these small changes are perfect for every strategy. But it is worth looking at the way you trade to see if these small changes can improve your overall results over time. Remember, we are not looking to make HUGE changes to the way you trade, only small tweaks that can lead to long term, impressive improvements to your strategy.